Formed long ago, yet made today, Employed while others sleep. What none would freely give away. Nor any wish to keep. 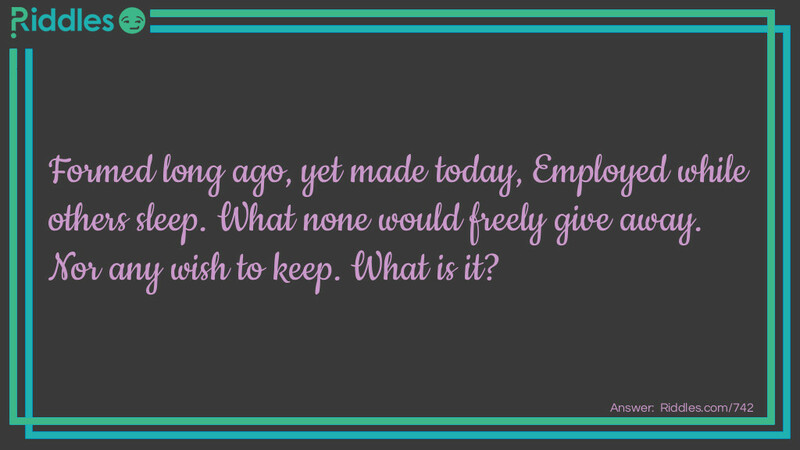 Employed while others sleep Riddle Meme with riddle and answer page link.